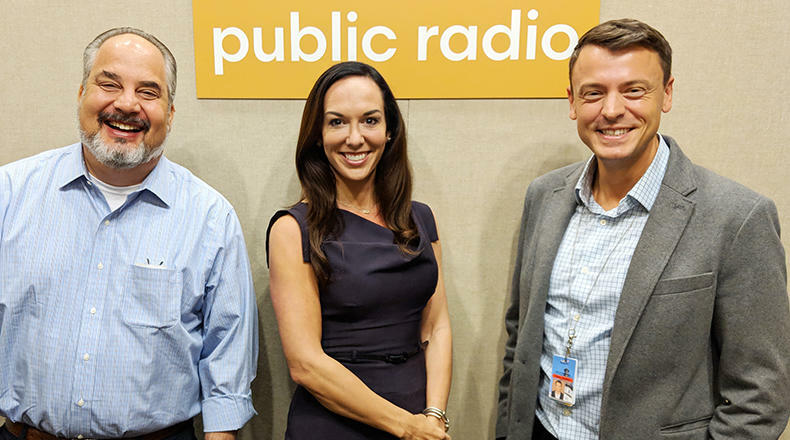 Gavin Jackson (r) with Andy Shain (l) and Meg Kinnard in the South Carolina Public Radio studios on Monday, October 15. On this edition of South Carolina Lede, host Gavin Jackson is joined by AP Reporter Meg Kinnard and Post and Courier Columbia Bureau Chief Andy Shain to discuss Nikki Haley's suprise announcement last week that she will be resigning from her position as United States Ambassador to the United Nations at the end of 2018. They also look at the recent grand jury report on the South Carolina Statehouse corruption probe, and preview the first South Carolina gubernatorial debate this week.